Support base of walnut and poplar. 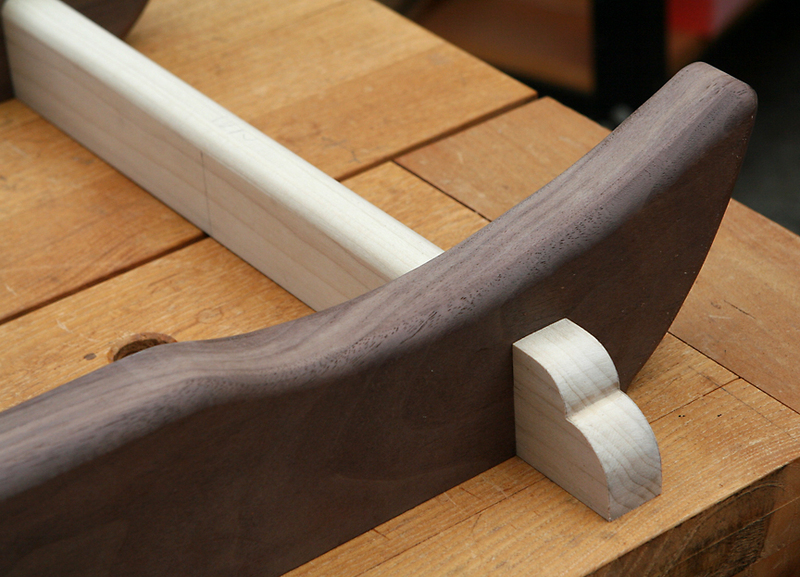 A support base was made up of walnut and poplar. The poplar will later be paint with Pitch Black Milk Paint and given an oil/varnish top coat. This 6/4 walnut board was acquired from Hardwoodtogo.com in one of their surprises packs. The board was severely cupped however since these elements would be about 1-1/4t x 5-1/2w I had enough material to work with. 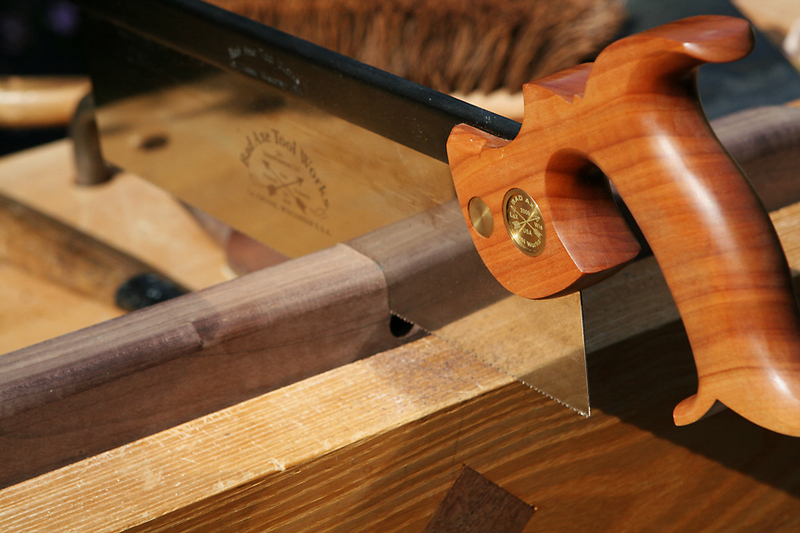 I cut off a suitable length with a panel saw, then ripped to width using the bandsaw. 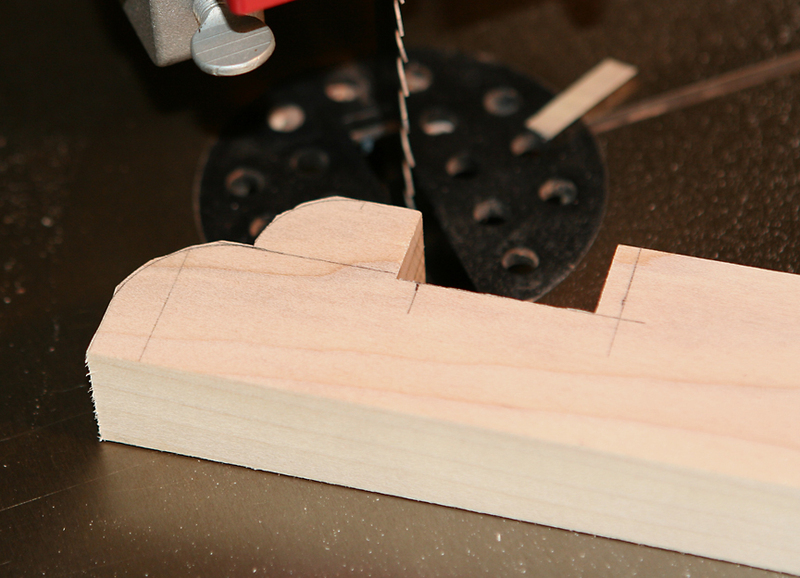 After smoothing the material, the shape was marked and cut out on bandsaw. 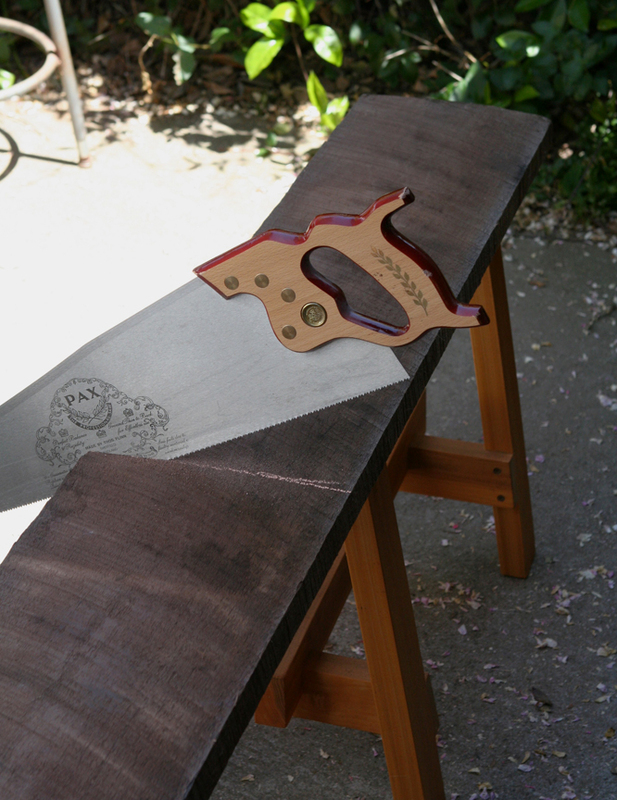 Shape was refined and round overs created with rasps, followed with sandpaper. The poplar cross pieces were milled, taken down to size and end shape cut. 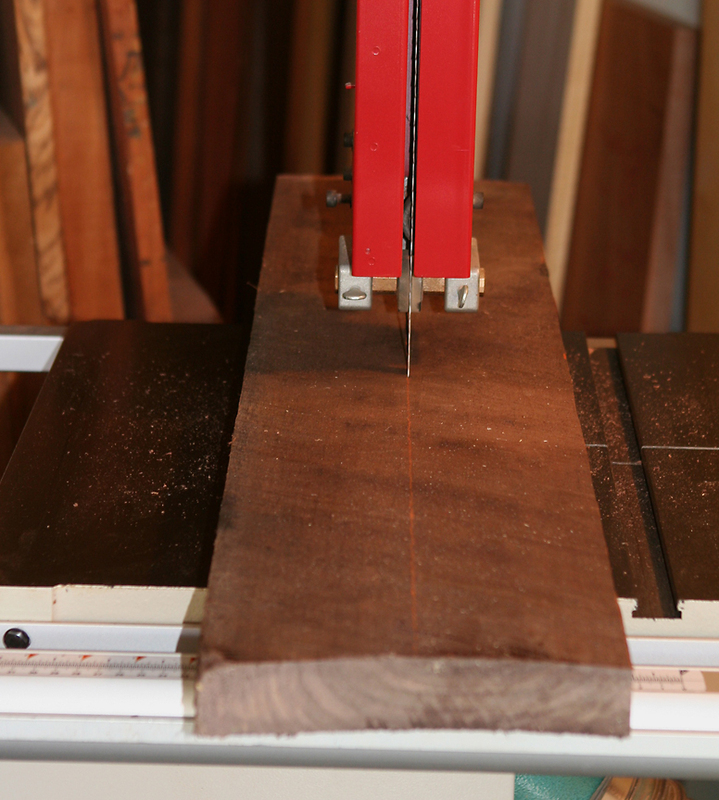 The portion that would be between the walnut horizontal elements received a large round over at the router table. The ends were left crisp to create a bit of contrast. The circular shelf unit similarly has soft and hard edges to entertain the eye. 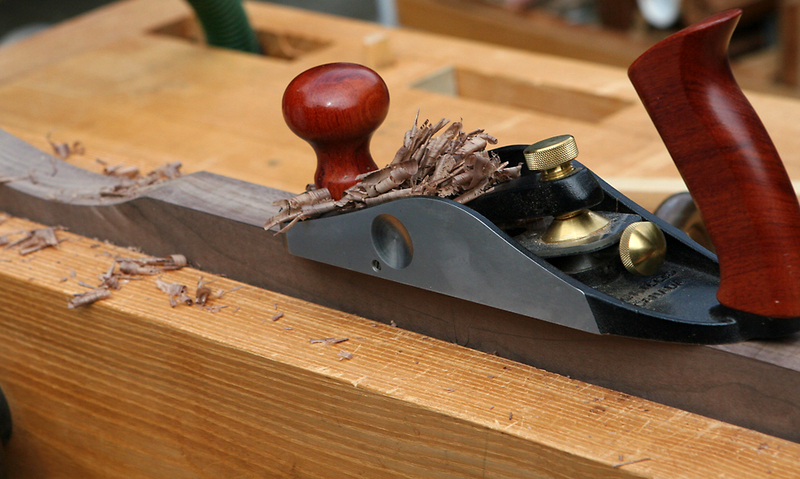 Cross lap joinery was cut using a dado stack at the table saw. 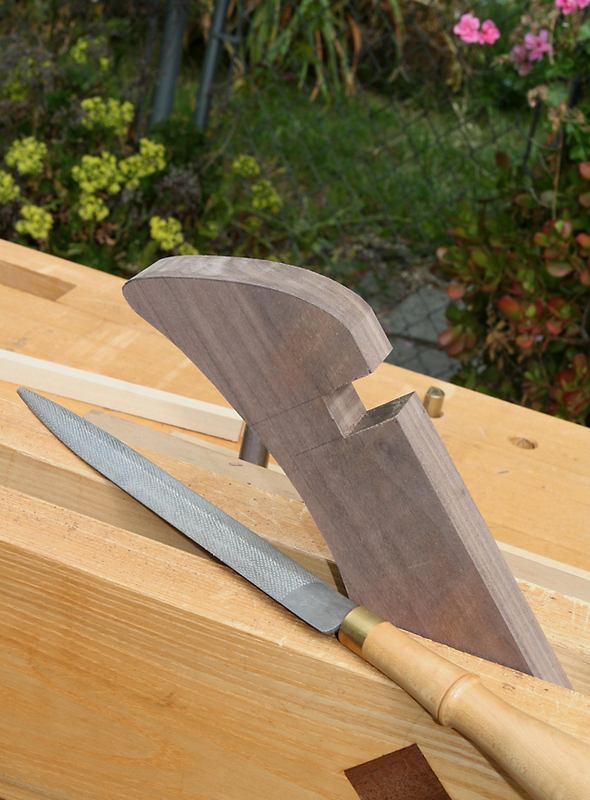 A notch for the bottom spacer was created by drilling a 1/2 inch hole and then material cleared out above the hole with my precious Bad Axe 12-inch backsaw. 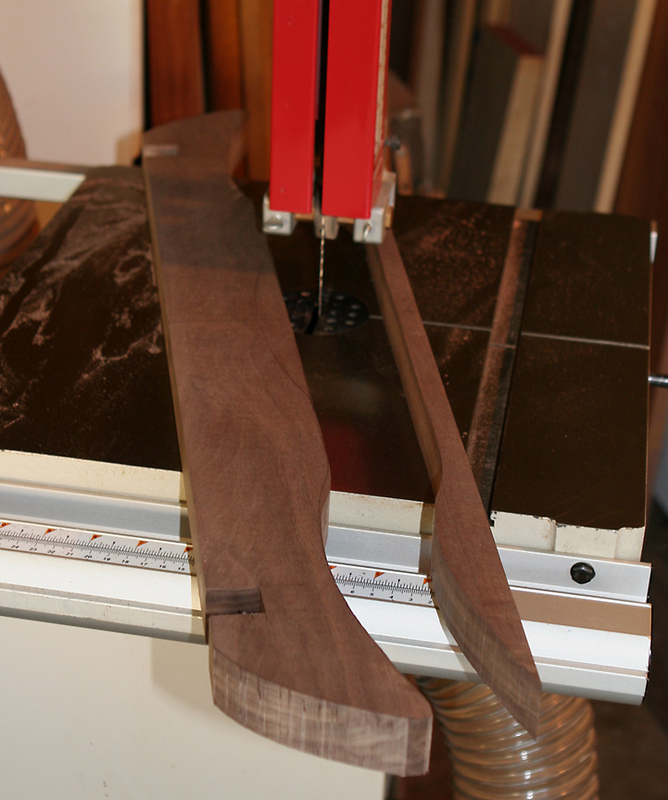 The assembly was left unglued in case I wish to explore other shapes on the walnut pieces. 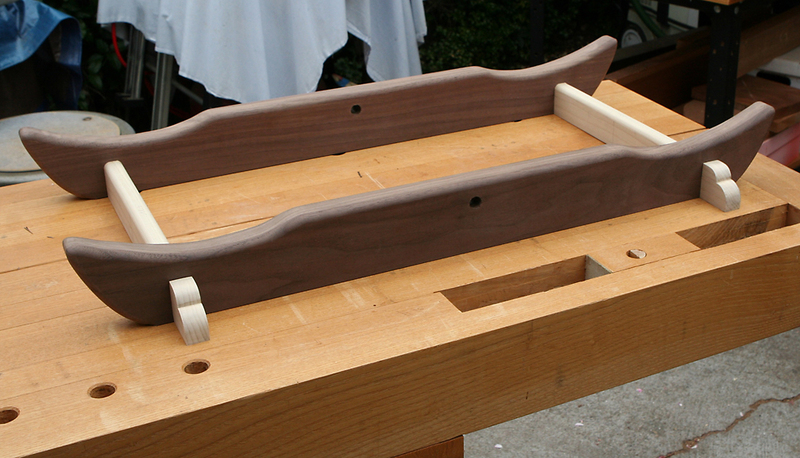 Finish was applied before glue up of the shelf unit as some areas would be very difficult to reach.